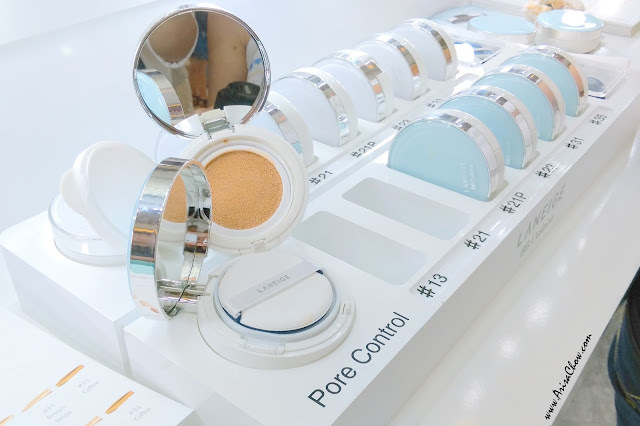 There are many ongoing activities for the public to enjoy, plenty of their famous BB cushion given out in mini form for all to bring home. FiSh & I, chilling by our dream make up table, mirror with lights & all lol. 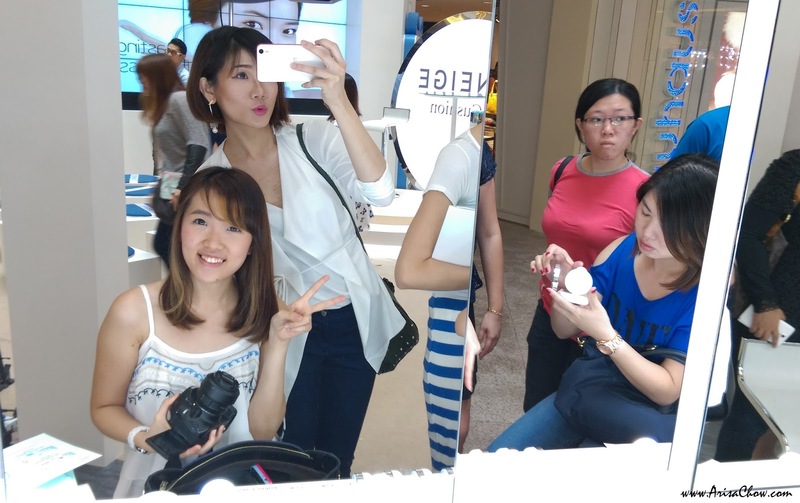 Also there are professional consultants and make up artists stationed at the booths to help you whenever needed. 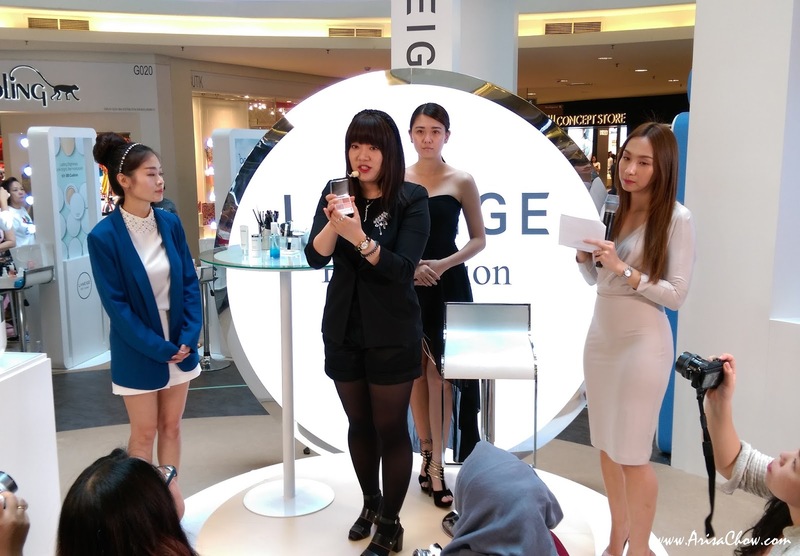 Get a proffesional makeover using Laneige top selling cosmetics and get you photo taken professionally too. Opps~ How can i miss out the most important information! Held at Mid Valley, North Court (in between Kipling & Jusco) from 11am - 7pm today. 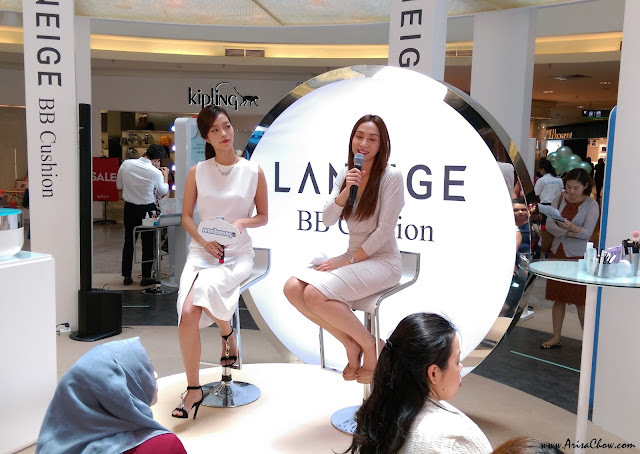 Yesterday's event was much more interesting as top Korean model Hwang Se-on was at the roadshow to share about her experiences and beauty tips on how to stay flawless while on the road (take note she's been travelling with the tour ya!) sounds really tiring flying non stop but she still looks fresh and beautiful! If it was me i think i would have looked quite haggard by now lol. I find it damn hard to believe whenever a tall slim model says they hate exercising T__T but yet their body figure is something to die for (like sheena liam also), and plus she is so fair that i might just call her our very own Asian "snow white" lol. Forgot to ask, how many of you here are loyal Laneige users or like me, a huge fan but never actually had the chance to buy them because of budget? Lol. Funny & jovial she is, amazed with how well her English was during her live demonstration. Showing us what colours are the latest trending item in Korea, how to actually apply eyeliner underneath our upper lash line instead of our eyelids for a "no eyeliner look" and last but not least on how to use their BB cushion to create a 3 Dimensional (3D) features without heavy contouring. Had a blast, so you guys should too before Monday Blues starts kicking in! Quickly head over to Mid Valley to catch the tour as their next stops will be cities in China- Beijing, Xian, Chengdu and Shanghai (4th-27th September). "My Cushion is BIGGER than yours!" lol. P/S: Still considering whether i should get the 2 tone lipstick (Milk Blurring) or not ;_; darn you Anna, why you tempt me so badly *sobs*. Disclaimer: All Photos are taken using HTC DesireEYE.